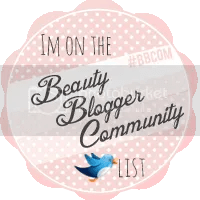 And if you’re new to the blog because of the challenge-heyoo! Welcome! 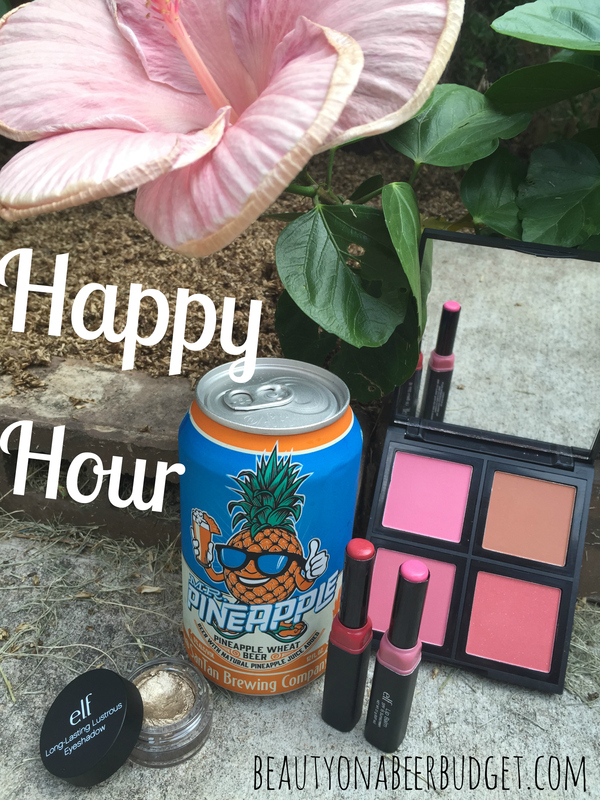 Happy Hour is my Friday feature where I share my favorite beers and budget makeup of the week. Because beer and makeup go together. They do. Trust me. Anyway, I’m so excited about Happy Hour this week because it showcases two of my favorite things: purple and lavender. YES. These are my favorite colors/scents and they translate very well into beer and makeup. So today I have No Label’s Forbidden Lavender Wit and Wet N Wild’s Petal Pusher Palette. I’m back! Sorry for the random absence, I went out of town and then things were just bananas. I got back Tuesday and I still haven’t unpacked my suitcase. But in good news, I’m in the final stretch of the danger zone! I have about 20 days of grad school and internship left and then I am done!!! Like for real done. No more grad school done. No more tuition and text books done. DONZO. It’s going to be so beautiful. 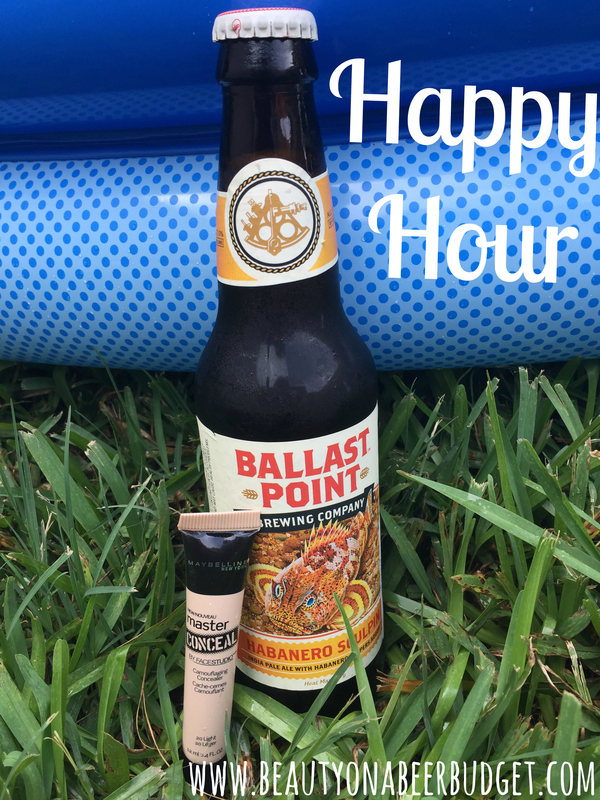 To celebrate, let’s enjoy this very random pairing for Happy Hour: Maybelline’s Master Conceal, an essential basic you need in your makeup collection, and Ballast Point’s Habanero Sculpin, a spicy, novelty beer that you also probably need in your beer tasting collection. How’s it going? If you’re like me, you are wrapping up a long week and very excited about the weekend. And you are probably covered in glitter. If you are like me. 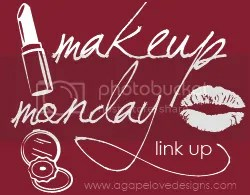 If you are trying to figure out what to drink or what makeup to wear on this holiday weekend (just pretend I didn’t write “holiday”, if you aren’t American), I have just the thing! SanTan’s Mr. Pineapple Ale and some of my favorite e.l.f. Summer essentials. 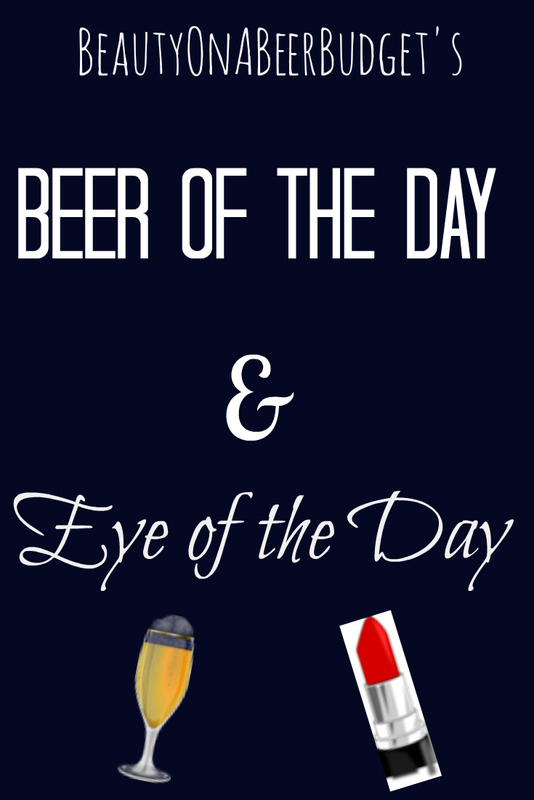 But first, please enjoy this Eye of the Day I wore to my internship site, although it’s most likely not work appropriate, and the Beer of the Day that I’ll be drinking in the bathtub! Oy. Tuesdays and Thursdays are bringing me down. Internship all day and class until 10pm. I’m trying to see the light at the end of the tunnel, because I’m almost done with grad school. Does the light have beer? I hope so. This post has beer, at least. We can start there, with a review of Brideport’s Bear Hug Cherry Chocolate Stout. I also have an EOTD/BOTD of an easy cheesy work look you can do when you just want to sleep or possibly never wear makeup again. (It’s not been my top priority lately, TBH.) I used Hello Waffle’s Mendelssohn, but any pretty light pink shadow will do. We made it to Friday! My first full week of internship has been fantastic, but I am totally ready for hours and hours of Orange is the New Black! YES SUMMER. For tonight’s Happy Hour, I’m going with the complete summer vibe. 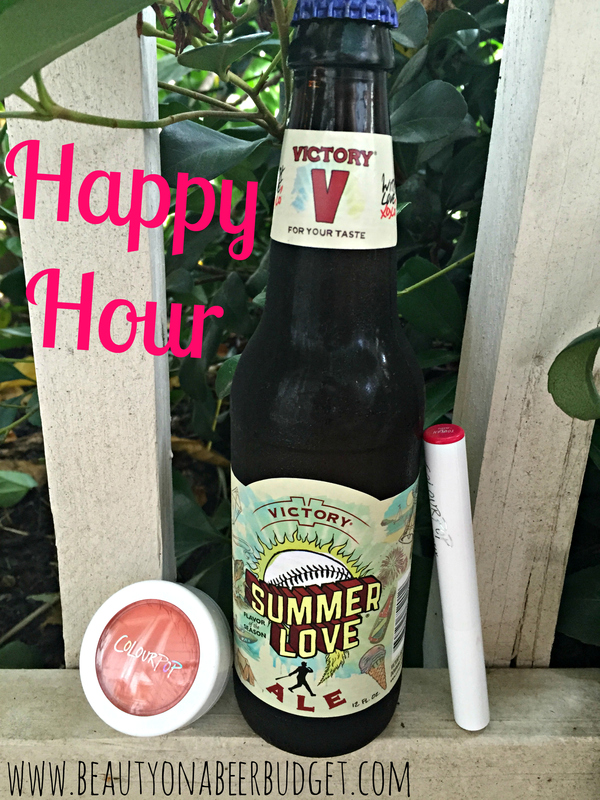 I’m sharing some of my favorite products from ColourPop’s Summer Collection, and a really interesting ale, Victory Brewing Company’s Summer Love. How’s it going? I got out of my class last night at 10pm, which I am pretty sure is illegal, and I am tired! So let’s check out EOTD/BOTD! 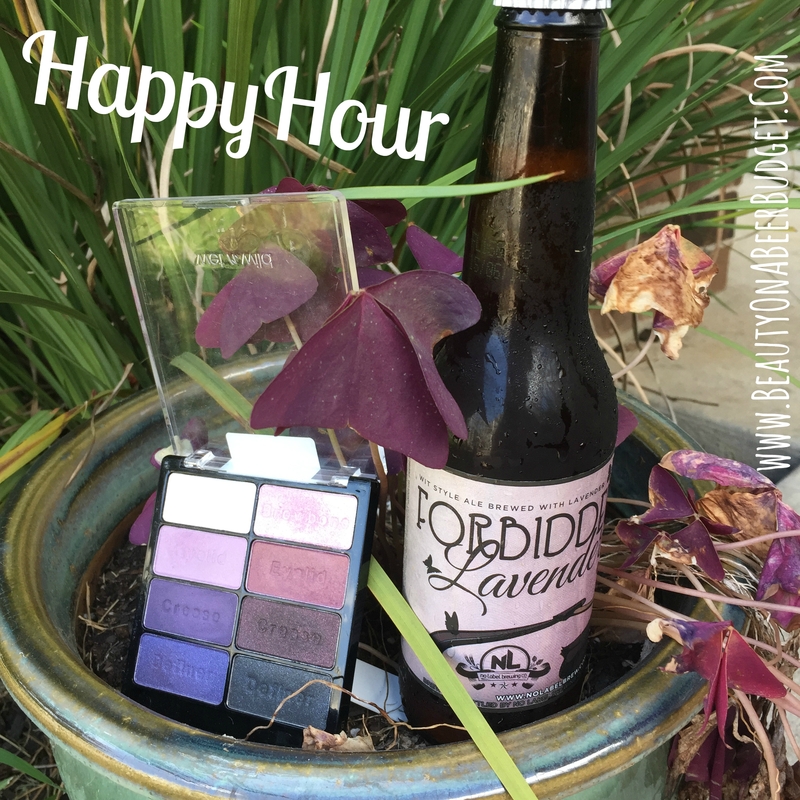 Please enjoy your beer and makeup responsibly! How’s your week going? Do you need a duochrome in your life? I thought so. Today’s EOTD/BOTD features one of my favorite Shiro eye shadows, I Loved a Maid, and the Blue Moon Horchata Ale that I’ve been yearningggggg for weeks to try now. So it’s very interesting, is what I’m saying. How’s your Friday? I’m about to enjoy my last one before Summer Semester starts, (AKA my last semester of grad school, thank you very much! ), with a nice, long bubble bath. And a beer. Naturally. 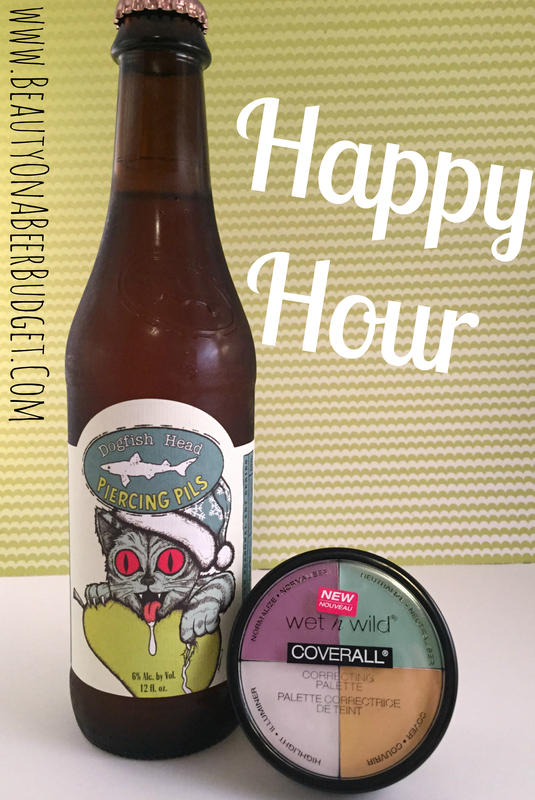 To kick off Happy Hour I’ve got a really delicious pilsner by Dogfish Head and a Color Correcting Palette by Wet N Wild, that will be great for your upcoming summer adventures. Sorry if posts have been coming out a bit slower these past few days. I’ve been working on a few things behind the scenes and I’m slowly but surely catching up. For the Beer of the Day, I decided to switch it up. I’ve been drinking a lot of light, warm weather beers lately, but I felt it was time to get back to one of my favorites: a coffee porter, and Ballast Point’s Victory at Sea seemed perfect for this cause.